The Attorney General of New Jersey responded to the United States Supreme Court's demand to provide a response justifying New Jersey's draconian "justifiable need" requirement. NJ responded to the Supreme Court on the last day of the deadline about why they should not strike down New Jersey's may-issue laws. So far it is a hoot. Apparently NJ doesn’t completely ban carry because police officers and military members are allowed to carry WHILE ON DUTY. During the Budget Address Governor Murphy announced his support to raise the cost of a firearm license and taxes on ammunition sales while comparing it to the cost of a dog license, claiming it is more expensive to get a dog license than a handgun permit. Gov Murphy to propose fee increase for firearm permits. Modern day poll tax? A source close to the Murphy administration has confirmed with NJ2AS that he will be advocating to raise the cost of a firearm identification card to $300 and also raise the cost of a retired law enforcement conceal carry permit to $150. We expect this announcement to occur during his budget address Tuesday afternoon. Facing a drop in approval rating and internal scandals, Governor Murphy deflected by hosting a so-called “gun safety” roundtable. However, there was one major issue — there were no gun safety experts on the panel. The case of Rogers VS Grewal, which challenges New Jersey’s de-facto ban on receiving a concealed carry permit, has been scheduled for a conference on February 22, 2019. Taken hostage, gang violence, robbery? A leading self-defense and firearm instructor advises how to react and survive. New Jersey has been off to a great start for 2019. An individual catches someone breaking into his car and shoots him, an "unwanted (armed) visitor" gets shot by the homeowner, gang members decide to make their delinquent problems public and start shooting each other in a mall, and a deranged ex-boyfriend takes his ex-girlfriend hostage at work! From its founding in 2010, NJ2AS enjoyed a pretty good relationship with Senator Jeff Van Drew. We were disappointed with the lack of action on any improvements to NJ's perilous gun laws, but he had promised us that as long as Senator Sweeney was Senate President they would not pass any anti-gun bills, and up to that point, he had kept his word. Second Amendment activism like never before! Following up from our announcement in June, we promised that there will be consequences and result-oriented activism for the package of anti-Second Amendment bills passed by the NJ legislature and signed by Governor Murphy. NJ2AS is happy to announce another giveaway. This month we will be giving away a Modern Materiel Modmat-15! On average over 22 veterans commit suicide every day in America. NJ2AS did not hesitate when our sponsor, Modern Materiel, called us to ask if we would support an event that was dedicated to bringing awareness to the cause and helping veterans that struggle with depression and PTSD. Cody Wilson makes digital files that let anyone 3-D print untraceable guns. The government tried to stop him. He sued—and won. We’ve heard your comments and concerns. Rest assured, our lawsuits are coming. The same way NJ2AS has prevailed against 23 towns and the State of New Jersey (3 times), we shall prevail again. Will John McCann continue the crusade to ban ranges? As New Jersey’s largest and most effective results-oriented Second Amendment organization, we have become overwhelmed with inquiries about Republican congressional candidate John McCann and his position on the Second Amendment. We feel it is best to address everyone’s concerns about John McCann in a short statement. We all know New Jersey politicians love a good ole’ backroom deal, but it is still disturbing to know that our Second Amendment rights - or what is left of them in this state - have become a political bargaining chip. Will Stephen Sweeney Sacrifice Jeff Van Drew's Congressional Dreams? Regardless of how he votes, there will be no where to hide for Senator Jeff Van Drew when Stephen Sweeney posts those 7+ anti-Second Amendment bills. The New Jersey Second Amendment Society (NJ2AS) has been following Jeff Van Drew’s (D) campaign for U.S. Congress in New Jersey’s second congressional district, which covers the southern most portion of our state. Though he’s claimed to be a friend of gun owners, and he’ll point to a few meaningless votes as evidence, his true colors have shown in the Democratic Primary and it’s now safe to “Call BS” on Van Drew. We have heard the lunacy from the anti-gun bigots that "a good guy with a gun never stops a bad guy with a gun." As a society we debate and watch while innocent school children are made defenseless due to humanity's cruelest social experiment: "gun-free" zones. Meanwhile those who want to disarm us are carrying or surrounded by guns. Another “nobody is trying to take your guns” success story. 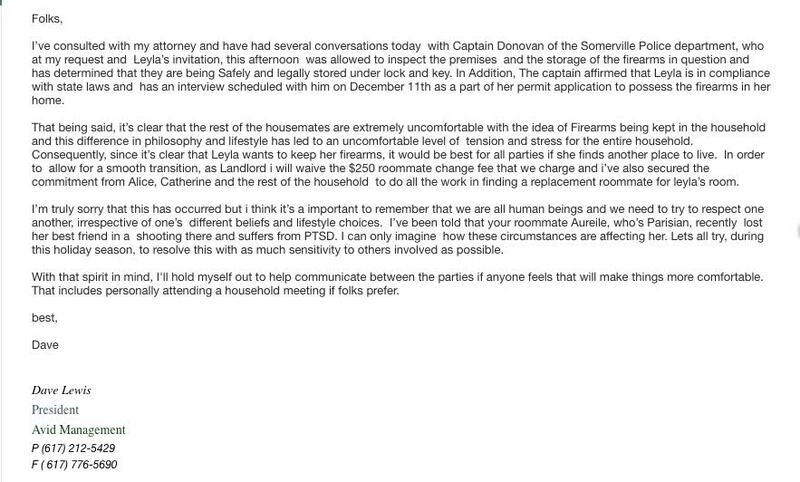 It has come to our attention that a housing development group called RPM Development Group (http://www.rpmdev.com) is prohibiting their tenants from owning firearms. You have two choices: keep your gun(s) or become homeless. A new low for the anti-gun bigots! Inroads Made with Lacey Township! NJ2AS members know all too well what happens when women lose their right to defend themselves against violent ex-lovers and stalkers. Unfortunately, instead of supporting a woman’s right-to-choose how she defends herself, state Sen. Linda Greenstein (D) sided with dangerous men.